Running an excavation and earthworks business is not only hard work, it's dangerous. The physical demands of the job are obvious but you also have to contend with long hours, safety regulations and completion deadlines. While your clients expect you to complete bobcat work, excavation, trenching, levelling, site cleans and dirt removal - bookkeeping, tax and administration matters often don’t the attention they deserve. While GST, BAS and tax payments often represent some of the largest financial obligations for an excavator operator running an earth moving business, many end up paying too much tax and incur fines for non-compliance. Here at Sheridans we understand what is involved in running a successful excavation and earthworks business. Apart from the usual small business compliance issues of GST, BAS, PAYG and superannuation, we can assist you with managing your cash flow and help you obtain finance for your bobcat, trencher, post hole drill and tipper truck. We’ll make sure the finance is structured for maximum tax effect and help you select the most appropriate accounting software, business structure and insurances for your business. If required, we can also help you manage your payroll and sub-contractors. STARTING AN EXCAVATION OR EARTH MOVING BUSINESS? Earth moving and excavation businesses are one of our specialist client groups and having mentored hundreds of business owners through the start-up phase of their business we have built a reputation as business start-up specialists. If you are looking to start an earth moving or excavation business or buy into an existing operation, there are numerous issues to consider. You need to establish your business structure, complete tax and GST registrations, consider insurances, select an accounting software program and possibly explore your finance options. It can be a maze of issues but as accountants and business advisors we can assist you in all of these areas plus provide advice on the preparation of a business plan, marketing plan and a cash flow budget. If you are contemplating employing staff we can also assist you with human resource matters including payroll, WorkCover and superannuation guarantee obligations. Over the past two decades our team of accountants have helped dozens of excavation and earth moving business owners get their business off to a flying start. We offer you experience, technical tax knowledge, marketing expertise and most importantly, an intimate understanding of your industry. Here at Sheridans we want to be your accountants and business advisors, not an expensive bookkeeping service. We do more than ‘keep the score’ for our clients and when selecting the most appropriate accounting software for your business we always recommend you match your business needs with your level of accounting skill. 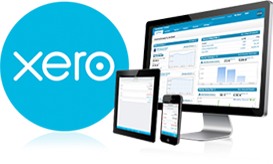 You’ll find we support a range of different software options but we do have a preference for cloud based solutions like Xero, MYOB Essentials and Quicbooks Online because of their flexibility and the fact that you can access your financial data via the internet and invite your accountant or bookkeeper to view your accounts at the same time. This means you can get bookkeeping support and valuable advice in real-time. You can also log-in anytime, anywhere on your Mac, PC, tablet or smart phone to get a real-time view of your cash flow. Your data is automatically backed up and users have access to the latest version of your financial data plus you never need to worry about installing software or program updates. For an excavation or earth moving business owner, your vehicle is arguably your most important business tool. To learn more about the alternative methods of claiming your vehicle expenses and the distinction between a business and private trip, you can read our Motor Vehicle Tax Guide. In addition, through our affiliate partners we can also assist with vehicle finance (chattel mortgage, CHP or lease) and get you fleet pricing on your new car, ute or light commercial van that could save you thousands of dollars. Through another affiliate group we can also help you source funds to finance your business purchase. In summary, if you're contemplating starting a business you don't need to reinvent the wheel as we have all the tools and resources to help you get off to a flying start. In fact, that’s just the beginning because as accountants we can do some financial modelling and prepare some ‘what if’ calculations based on different price points so you know your business’ best and worst case profit scenarios. Next, using industry benchmarks we can compare the performance of your business against your competitors so you understand what is working in the business and what areas need working on. As accountants we operate in a very crowded and competitive industry. We recognise the fact that your marketing could be the difference between gloom and boom and while we have a small firm personality, we have big firm capabilities. One feature that distinguishes us from other accounting firms in Adelaide is our marketing expertise. Most excavation and earth moving business owners rely on their reputation and referrals to grow their business. While these ingredients certainly remain important in the digital age, you need to shift your marketing focus online. Increasingly local searches like ‘Excavation operator Glenelg’ are driving traffic to your website which is often the first touch point with a potential new customer. As you know, in business, you only get one chance to make a good first impression and your website is your 'online shopfront' and silent sales person working 24/7 to promote your business. Your brand should resonate with your target market and we can assist you with the development of your business name, logo and slogan, your corporate brochure plus we can help you write blogs and newsletters. We can even help you harness the power of social media to win more referrals. If you aren’t using some of these marketing techniques your excavation business probably won't reach its full profit potential. Most importantly, we understand that business owners like you want more sales, more customers and more profit so we also give you access to one of the world’s most successful marketing programs, the ‘Business Growth System’. It contains more than 80 breakthrough marketing strategies supported by videos, templates, checklists and 2,500 pages of ins tructions. Access to this ‘vault’ of resources would normally cost you $500 per month, however, as a client of the firm you get unlimited FREE access. In addition, you also get access to the ‘Grow Your Business in 5 Days’ video training course that could have a massive impact on your future business growth. That's over $7,000 of valuable marketing tools you receive when you come on board as a client with us. In summary, we are so much more than just tax accountants. 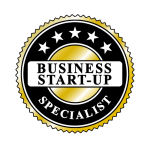 We are business and profit builders who strive to deliver practical, cost effective advice that could give you a serious competitive edge in your industry. Our marketing strategies are designed to help you grow your business and your profits and over the past two decadess excavation and earth moving operators have become a niche area within our firm. Our marketing skills distinguish us from other accounting firms and if you're a committed and ambitious business owner looking to accelerate your success we invite you to book a FREE, one hour introductory consultation to discuss your business needs. You can expect an hour of practical business, tax, marketing and financial advice that could have a profound effect on your future business profits. To book a time, contact us today and let's get to work on your business so it's more profitable, valuable and saleable.